Security, stability in Nagaland priority of BJP, says Union Minister Kiren Rijiju - Integration Through Media ....! DIMAPUR: Union Minister of State for Home Affairs, Kiren Rijiju on Saturday averred that the prime objective of the Bharatiya Janata Party (BJP) is to provide security and stability in Nagaland. He further stated that the upcoming assembly election in the state is to define the future of the state. “We want to provide security and stability in Nagaland. 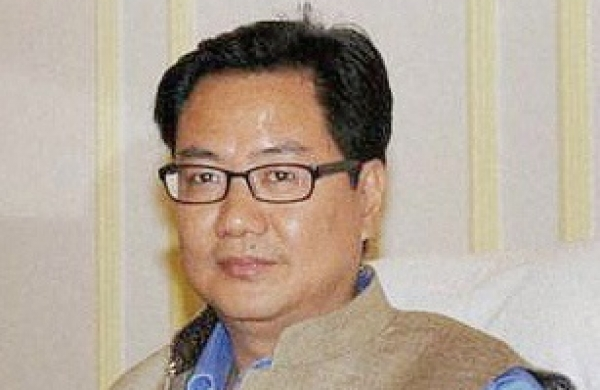 Once there is peace there will be progress, which will lead to prosperity,” Rijiju said. The Minister of State for Home Affairs also assured that the Naga Accord will be implemented in the state as soon as it will be finalised. Pitching the people to vote for the BJP, he assured that if they came to power in Nagaland, the state will be ruled as a federal structure by the Naga people. Nagaland will go to vote on February 27 and results of the polling will be declared on March 3.